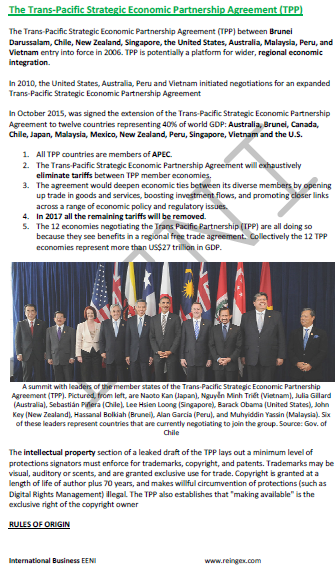 Syllabus of the Online Course (Subject): Trans-Pacific Strategic Economic Partnership Agreement (TPP). 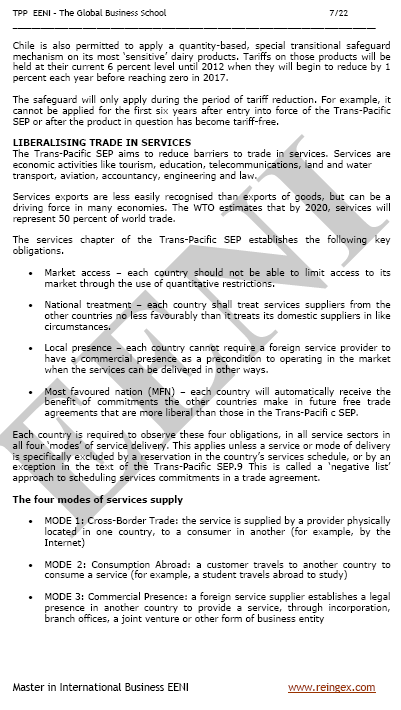 The Trans-Pacific Strategic Economic Partnership Agreement (TPP) between Brunei Darussalam, Chile, New Zealand, Singapore, the United States, Australia, Malaysia, Peru, and Vietnam entry into force in 2006. 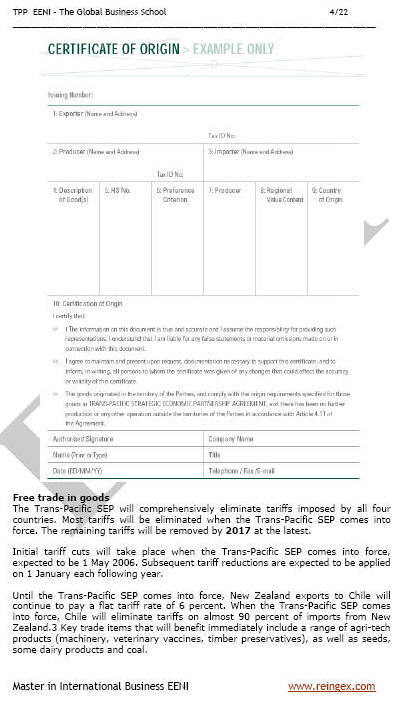 On October 2015, was signed the extension of the Trans-Pacific Strategic Economic Partnership Agreement to twelve countries representing 40% of the world's GDP: Australia, Brunei, Canada, Chile, Japan, Malaysia, Mexico, New Zealand, Peru, Singapore, Vietnam, and the U.S.